The Grand Traverse Band (GTB) Emergency Management Office is located in the Medicine Lodge at 2300 N. Stallman Road, Peshawbestown, MI, approximately 4 miles north on M22 from Suttons Bay. The GTB Tribal Emergency Management Office works on emergency preparedness initiatives for the Tribal Government. The Tribal Emergency Management Office works collaboratively with Leelanau County 911 Center on tribal, county and state of emergency events for Leelanau County as well as cooperates with surrounding counties of Antrim, Benzie, Charlevoix, Grand Traverse, and Manistee counties on emergency preparedness. The Tribal Emergency Operations Center (EOC) is not staffed on a full-time basis but will open periodically for simulated exercises as well as real events that occur within Peshawbestown. During these events the EOC will be staffed by representatives from tribal and local organizations to collaborate on real time events. The goal of GTB Emergency Management Office is to work collaboratively with local county Emergency Management Offices on preparedness initiatives for each area of Antrim, Benzie, Charlevoix, Grand Traverse, Leelanau and Manistee counties and surrounding counties in the northwest region of Lower Peninsula of Michigan. GTB Emergency Management Office collaborates with GTB Tribal Government Departments to prepare for natural and man-made disasters through exercises and trainings and continually updating GTB Emergency Operations Plans. Every county has links to Emergency Management information to assist citizens to better prepare themselves for inclement weather conditions, unexpected emergencies or disaster location of emergency shelters in those counties. The Grand Traverse Band has six emergency shelter locations for Peshawbestown, Antrim, Benzie and Charlevoix. (See GTB Tornado Shelter Locations link listed below). For additional emergency preparedness information for Community and Family Preparedness click on website links to assist community members to plan for family emergencies and weather related events. Indian Country Ready.gov or FEMA.gov has links to Severe Weather sites: Tornados, other Natural Disasters and general emergency guidelines. The Grand Traverse Band Natural Hazards Mitigation Plan (NHMP) was approved and adopted at the Tribal Council Regular Session, June 15, 2016. 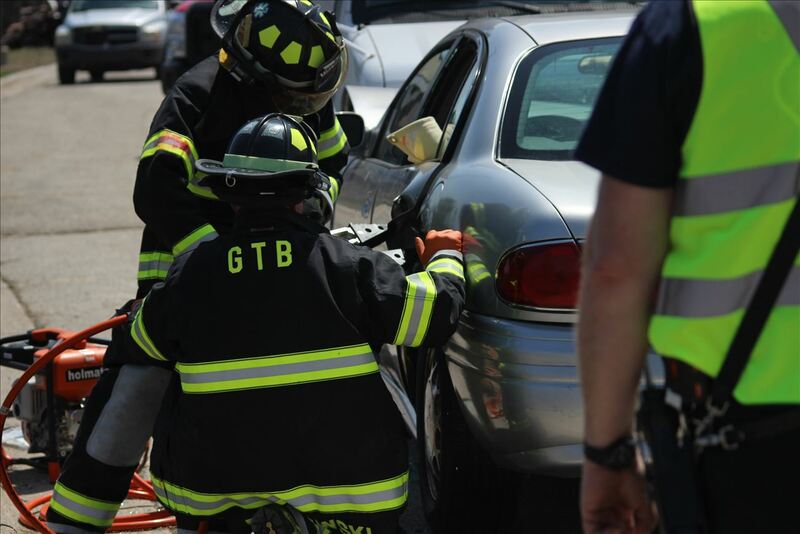 The GTB also adopted Benzie, Grand Traverse and Leelanau County Natural Hazard Mitigation Plans as the GTB has tribal lands in the six county service areas. The Natural Hazard Mitigation Plans recommends several hazard mitigation actions/projects that will provide mitigation for specific natural and human caused hazards that impact GTB, with the effect of protecting people and property from natural hazards that have or may occur on tribal lands. The GTB NHMP identifies local risks and vulnerabilities to prevent injury, loss of life, property damage, and promote and support prevention or hazard mitigation planning. The GTB Natural Hazard Mitigation Plan and County NHM Plans are located in the GTB Emergency Management Office. The GTB Natural Hazard Mitigation Plan is also located on the emergency management website. Copies are also available at the GTB Emergency Management Office located at the Medicine Lodge and GTB Tribal Police Department, 2300 N. Stallman Rd., Peshawbestown, MI. For more information contact: GTB Public Safety Department Manager (231) 534-7111.